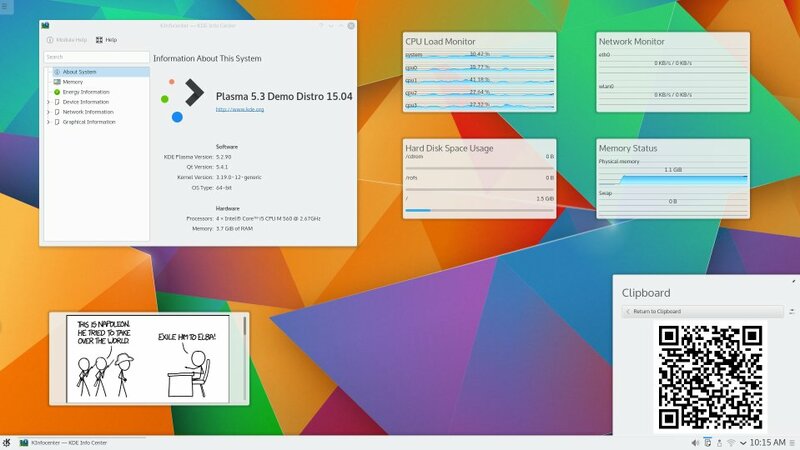 A few days ago the Kde community has released a brand new beta of Plasma 5.3 so let’s look at what to expect in the near future from our favorite desktop environment! From what we can see from the release notes, one on the biggest features concern the Enhanced Power Management. 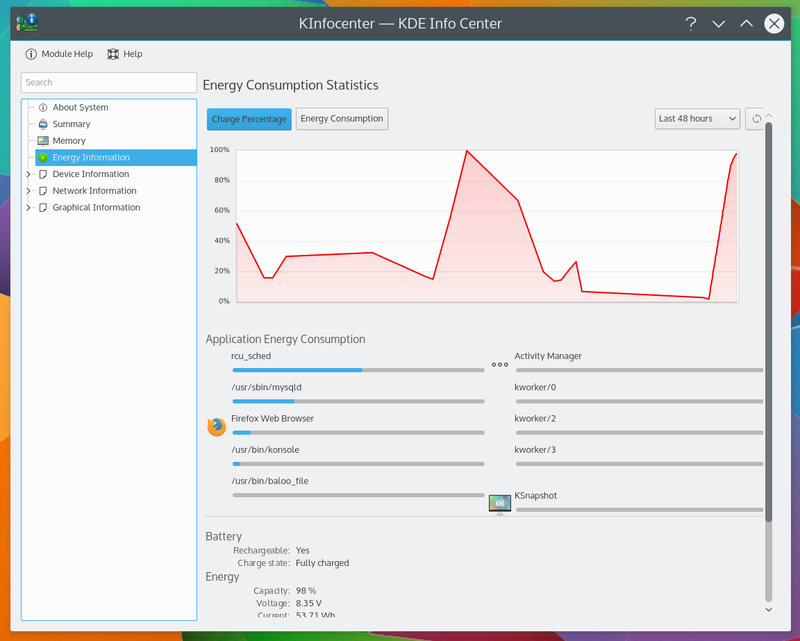 In Kde Plasma 5.3 we will be able to configure different power management settings for certain activities. As we can see, there are a lot of finishing works regarding varius aspect of power management. For example laptop won’t suspend when closing the lid while an external monitor is connected, power management inhibitions block lock screen too, screen brightness changes will be animated on most hardware, KInfoCenter will provide statistics about energy consumption and the Battery monitor will show which applications are holding a power management inhibition. Another group of new features regards the Bluetooth Capabilities. 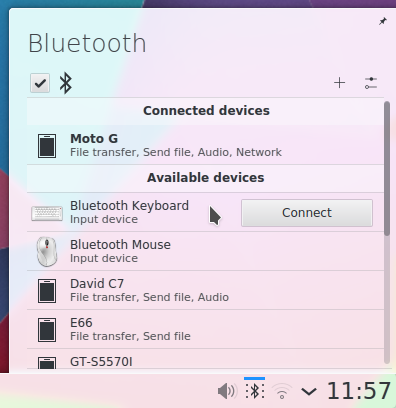 Kde Plasma 5.3 will ship a new Bluetooth applet. Plasma Widgets will be improved as well. Clipboard applet will gain support for showing barcodes, the Desktop and Folder View containment codebases will be unified, and will see performance improvements, the Recent Documents and Recent Applications sections in Application Menu (Kicker) will be powered by KDE activities, and the Comics and System monitor plasmoids will be available again. With this beta is possible to test the new Plasma Media Center thas’s currently in Tech Preview. It is fully stable but misses a few features compared to version 1. You can log directly into a Plasma Media Center session if you want to use it on a media device such as a television or projector or you can run it from Plasma Desktop. It will scan for videos, music and pictures on your computer to let you browse and play them. Finally Plasma 5.3 will make a huge step towards to supporting the Wayland windowing system in addition to the default X11 windowing system though, full integration, is only expected for Plasma 5.4.